In July 1922, Norwegian explorer Roald Amundsen and his crew set out on the Maud in an attempt to reach the North Pole by drifting the Arctic Ocean. They also brought along equipment to collect data in the fields of meteorology, oceanography and research of the Earth's magnetic field. This film documents the three years the crew spent drifting the Arctic Ocean. We are introduced to the whole crew, and see the preparations for the trip. We meet many Eskimos, and we learn about their way of life. 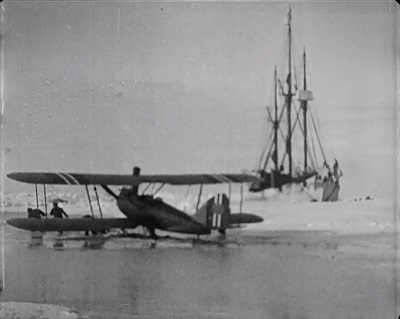 The crew spends a lot of time hunting walrus and polar bears, and go on short inland expeditions. They also have an aeroplane, but it crash lands during one of the initial test runs. Finally, we see the dramatic escape from the ice, in which the Maud had been stuck for two years, using dynamite. When a tribe of curious Eskimos meet them in March 1925, they are the first strangers the crew have seen for almost three years. The meeting is very emotional. This was the last attempt at reaching the Pole by sea.